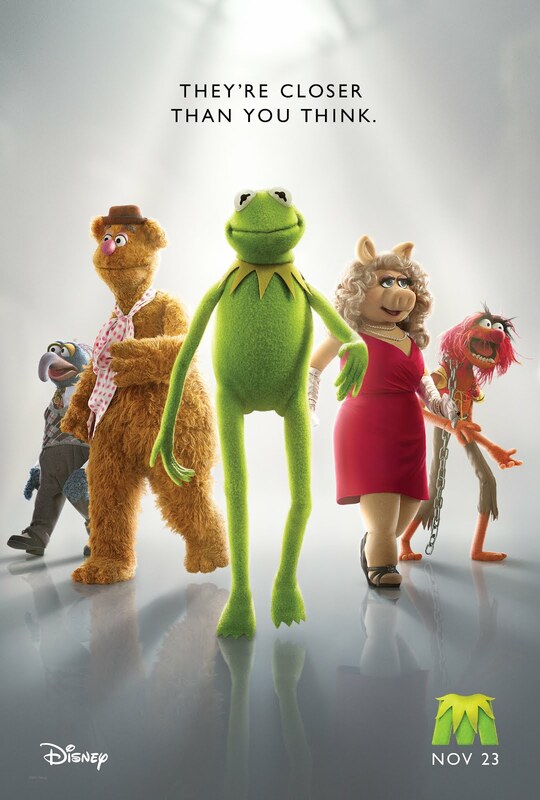 (10) The Muppets - This does a really good job of being both nostalgic and modern at the same time without being cynical or sarcastic (thanks to Jason Segel). My son had never seen the Muppet Show and loved the movie. I grew up on the show and loved it as well. 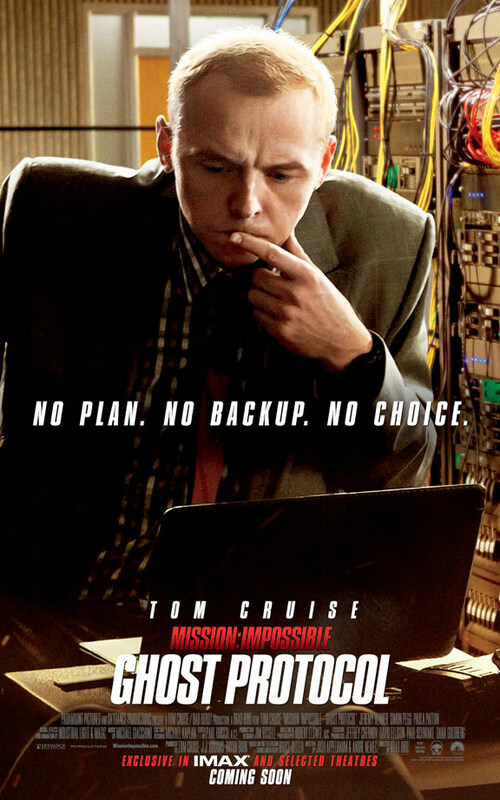 (9) Mission: Impossible - Ghost Protocol - I think this movie works, and most critic agreed, because of the combination of director Brad Bird (The Incredibles) translating cartoon action to live action, and some levity by Simon Pegg. I think this movie doesn't take itself too seriously like too much Tom Cruise stuff usually does. For a different take, I highly recommend Wunelle's review: "Recombinist ..."
(8) Hanna - I think this was an underrated movie and it was quite awhile ago that I saw it. The cinematography, sparse dialogue and nice performance by Saoirse Ronan all work to great effect. Click the title to see a nice review by Wunelle. (7) Harry Potter and the Deathly Hallows: Part 2 - Pt. 2 very nicely ties up both Deathly Hallows and the series as a whole. 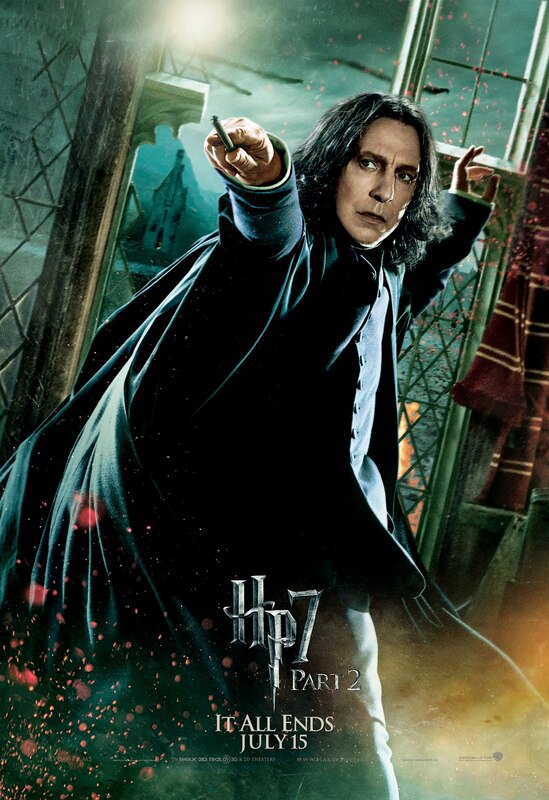 An especially good performance by the always great Alan Rickman as Snape. 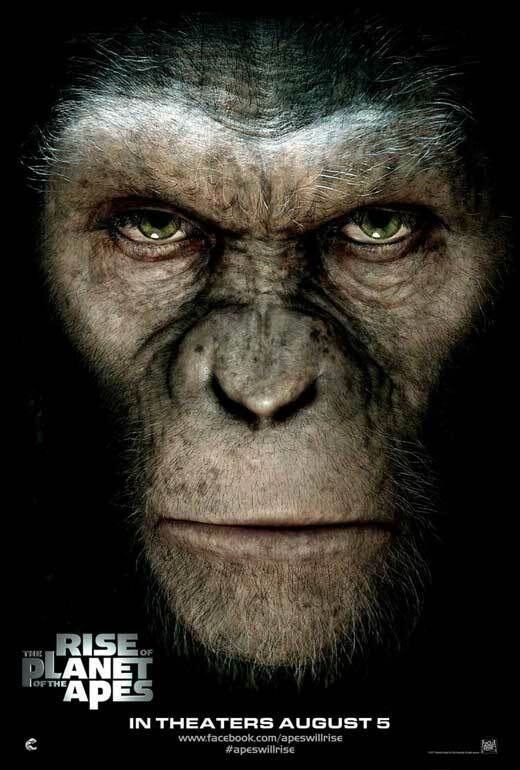 (6) Rise of the Planet of the Apes - I was expecting just a decent popcorn movie and was pleasantly surprised to get a bit more. It should be no surprise that the unexpected bonus is the remarkable performance by motion capture actor Andy Serkis (of LOTR fame) in the role of the chimp Caesar. This performance was deserving of an Oscar nomination. 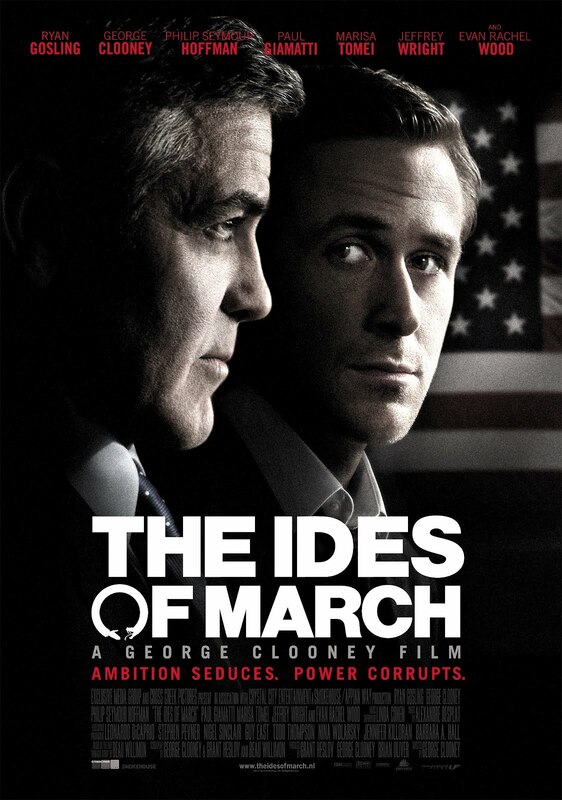 (5) The Ides of March - Great cast - Paul Giamati, Philip Seymour Hoffman, Jeffrey Wright, Clooney and Gosling. Timely subject matter - political intrigue and influence. (4) The Girl with the Dragon Tattoo - I guess I'm one of the people that likes both versions of this film equally well. While I believe that Noomi Rapace's performance in the Swedish version of the movie is the defining one, I think Rooney Mara does a good job of not mimicking her and makes this her own. The pacing of the American movie is better and does not rely on having read the book as much. 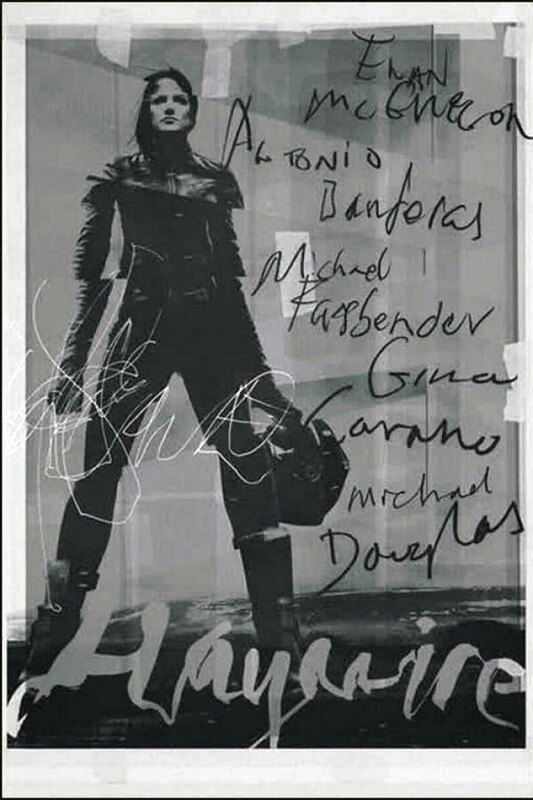 (3) Haywire - Very distinctly Soderbergh in a dialogue and visual sense. (2) Meek's Cutoff - Subtle, quiet, yet still powerful. Nice performance by Michelle Williams. 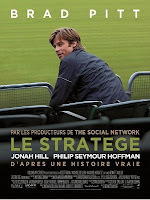 (1) Moneyball - If you think this movie is about baseball, you are largely missing the point. it is more about how we value things and how important it is to believe in what you are doing, even when nobody else does. 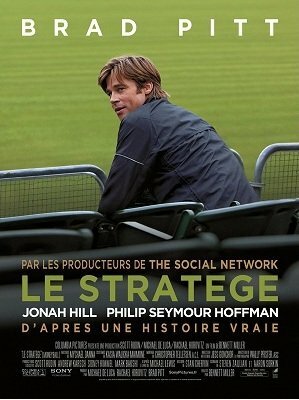 This is probably Brad Pitt's defining performance of his career and one that a younger and more naive Brad Pitt could not have pulled off. It's a naturalistic, nuanced performance. Jonah Hill also does a great job in an understated performance. I have a feeling that if I'd seen any of these, they would have made my top 10. Only seen No 8 and No 6 on your list. 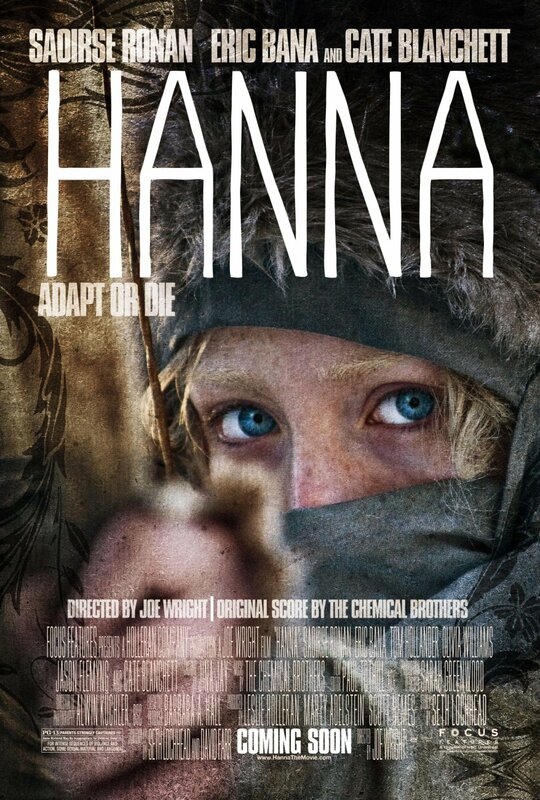 Quite liked Hannah - although I thought a very good film was let down by the ending. I wanted to like Planet of the Apes (and did in many ways) but thought that overall it was a bit flat. Though, even I have my limits. Certified Copy was nothing but symbolism and hidden subtext and I could never really get into it. A few years ago, Babel kinda fit that same slot for me ... an ambitious movie with all kinds of meaning but maybe not enough clarity. I'd love to see a list of your top 10. Great list! I'm surprised to see how many of these I've not seen. I'm particularly keen to see Rise of the Planet of the Apes, the Ides of March, and Moneyball. OK, and the Muppets! Of the ones I did see, I like many of the same ones you did. You did a much better job than I did this year watching the more critically acclaimed movies. It just seemed like I was unusually busy during the time of year that most of them came out ... December. I'd love to see your top 10. I'm sure I'd prefer those, once I see them, to the majority of my list. dbackdad said: I'd love to see a list of your top 10. Well done, CK. I keep meaning to see Battle: LA. It's in my Netflix Instant queue. I did see Limitless, Cowboys and Aliens, X-Men and Super 8 and liked them all. The last two of those almost made my top 10. I remember seeing the preview for The Eagle but I'm not sure if it's still in our theatres here. Source Code would be another movie I really need to see.